Let the Westwood Inn take some of your worries away and help you plan your special event or meeting. Our friendly staff is always here and willing to help. 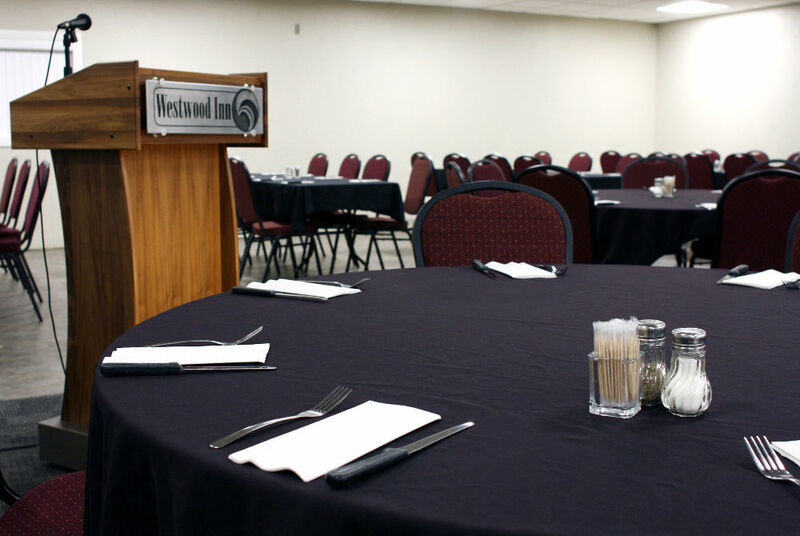 Newly renovated, the two banquet rooms are available for all types of meetings or functions. The River room is smaller and perfect for more private functions, while the Valley room is larger and suitable for bigger meetings. The two banquet rooms can also be combined into one large room for even bigger events! We offer banquet rooms and catering for any kind of event such as weddings, anniversaries, group or sporting functions, corporate Christmas parties, etc. Maximum capacity of 180 people, no number is too small. We also cater breakfast, lunch, and dinner to all kinds of sporting teams. Call the Westwood Inn front desk and ask to speak to Frank Koutecky for more information on availability, pricing, and menus. ..